Myasthenia gravis is a neurological disorder that often affects the eyes. Eye conditions associated with ocular myasthenia gravis include diplopia (double vision) and ptosis (eyelid droop). While medical therapy is often used to treat generalized myasthenia gravis, it is not clear whether medications are effective in treating ocular symptoms. Other measures, such as eyeglasses with prisms, are frequently used. Surgery may be considered for those with severe symptoms that affect vision or are cosmetically undesirable. How Does Myasthenia Gravis Affect Me? Myasthenia gravis is an autoimmune disease that affects the muscles, causing muscle weakness. The disease can affect various muscle groups in the body, and muscles in the face, the neck, and the limbs can exhibit symptoms of weakness and immobility. Myasthenia gravis is one of the better understood neurological disorders, but it can be a debilitating disease, and those with generalized myasthenia gravis can experience difficulty moving, or even breathing on their own. There is no cure, but there are several treatments available. In approximately 15 percent of people with myasthenia gravis, the only muscles affected are those in the eyes, in which case the condition is called ocular myasthenia gravis. Some of the first signs of ocular myasthenia gravis include a dropping eyelid and double vision. Symptoms affecting the eyes are extremely common in myasthenia gravis, and approximately 90 percent of patients suffer in this way. In about 75 percent of patients, the first symptoms of myasthenia gravis manifest in the eyes. About half of all ocular myasthenia gravis sufferers will eventually experience symptoms in other muscle groups beyond the eyes. Studies have shown that myasthenia gravis patients whose symptoms affect only their eyes for about three years are not likely to develop more generalized symptoms. Their myasthenia gravis, in most cases, will not extend to the other muscle groups in the body. Ocular symptoms may come and go, sometimes appearing when the patient is exposed to bright sunlight, under stress, recovering from surgery, or experiencing another illness. Symptoms may also disappear on their own, and the patient will experience a spontaneous remission of the myasthenia gravis. With ocular myasthenia gravis, the symptoms typically include ptosis and diplopia. Ptosis: A drooping eyelid can be seen in either eye or in both eyes. The drooping may not be always visible, but will often follow a pattern that can be seen on physical examination by an ophthalmologist or other eye care professional. If the patient looks upward for several seconds or up to a minute, they may be unable to keep one or both eyelids open enough to see. Sometimes the eyelids may also flutter. Diplopia: Patients with ocular myasthenia gravis may experience double vision. This is due to a weakening of the eye muscles. In some cases, one of the ocular muscles will be unable to move properly, and this will cause the patient to see double. The failure of an ocular muscle in the absence of trauma (such as an injury or an accident) is not common. When an ophthalmologist sees this sign, it may prompt them a diagnosis of myasthenia gravis. Other ocular symptoms: Some research has described other possible symptoms of ocular myasthenia gravis, including weakness of the upper eyelid, difficulty focusing, and difficulty turning both eyes inward when looking at an object at close range. Who Is At Risk For Myasthenia Gravis? Myasthenia gravis tends to appear mainly in young women and men over the age of 50. Young people diagnosed with myasthenia gravis have a better chance at achieving remission than older patients. Because ocular myasthenia gravis is a well-described condition, there are several treatment avenues open to patients. Depending on the type and severity of the symptoms, treatment can include eyeglasses (with or without eyelid crutches) and surgery. Myasthenia gravis is usually treated by team of physicians, and ocular symptoms in particular are generally treated by a neurologist working with an ophthalmologist. Medications: Several different medications may be used to treat generalized myasthenia gravis, but there is no good evidence that any of these are effective at treating ocular symptoms. There is some evidence that treatment with medication may prevent ocular myasthenia gravis from progressing to generalized myasthenia gravis. Many medications used to treat myasthenia gravis have the potential for significant side effects, and patients who are only experiencing ocular symptoms may not be good candidates for these drugs. This is especially true if symptoms can be managed with other, less risky methods. Patching: Double vision can sometimes be treated by patching one eye. An opaque patch is fitted over the eye that is experiencing the symptoms of myasthenia gravis. Eyeglasses: In cases in which double vision is the problem, special eyeglasses fitted with a Fresnel prism may be employed. These glasses bend the light in such a way as to eliminate double vision. Eyelid crutches: When ptosis becomes a problem and prevents a patient from being able to see, a device called an eyelid crutch (or a ptosis crutch) can be added to standard eyeglasses. The crutch is a piece of metal or plastic that attaches to the inside of the glasses and effectively holds the eyelids up. 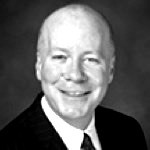 This is a low-cost, no-risk alternative to surgery in cases in which surgery to correct the ptosis is not possible. Strabismus surgery: This surgery is done on the muscles of the eyes in order to improve double vision and correct any underlying deviation of the eye (such as the eye turning inward or outward). It might be done on patients whose myasthenia gravis does not appear to be progressing or in those whose eyes have a significant deviation. During this surgery, a muscle that controls the eye is detached and then reattached so that it can better control the eye’s movements. In some cases, the surgery may need to be repeated in order to fine-tune the eye alignment. Blepharoptosis surgery: In some cases, medication or other therapies may not be effective for treating ptosis. In cases of persistent ptosis, blepharoptosis surgery may be considered to improve both the functioning of the eyelid and its cosmetic appearance. Some patients with ptosis may find their vision obstructed by the drooping eyelid, and are unable to read or drive. During levator advancement or resection surgery, the eyelid droop is corrected by shortening the muscle that raises the eyelid. This is typically an outpatient surgery. The patient recovers at home, using ice packs on the eyes for a few days, followed by antibiotic eye and lubricating drops or ointment for one to three weeks. Ptosis can also be corrected with surgical installation of a frontalis sling. This surgery is more often performed when the eyelid muscle is unable to raise the eyelid. A loop of thread (either sutures or a tendon from the patient or a donor) is inserted into the eyelid and attached to the brow. 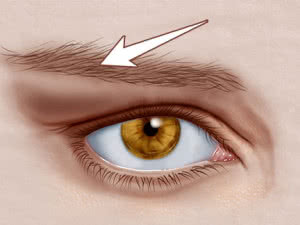 By lifting the brow, the eyelid can be lifted higher to facilitate sight. Lubricating eye drops may be required to keep the eye moist because during the initial recovery period, the eyelid may not close fully.